Fact Check: Did Glass-Steagall Cause The 2008 Financial Crisis? : It's All Politics The financial regulatory law became a big part of the Democratic debate Tuesday night. Did it help lead to the financial collapse? And what exactly is it, anyway? Some Democratic candidates have blamed the 1999 scaling back of the Glass-Steagall Act for the financial collapse. That's arguably only partially true. 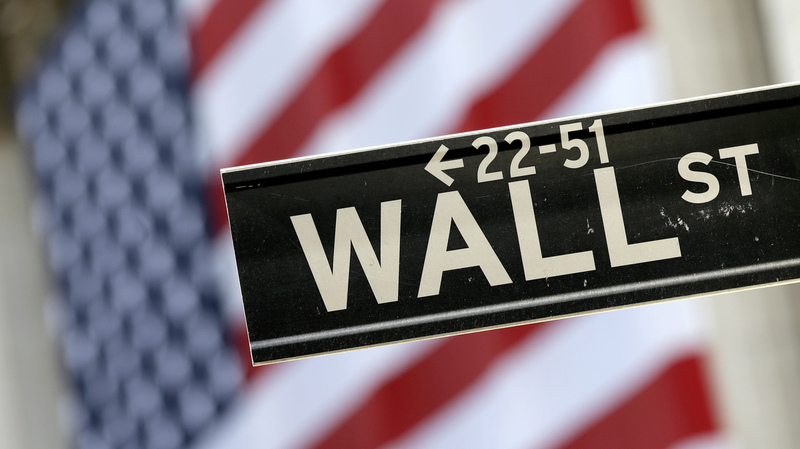 Taking on Wall Street makes for good politics in the Democratic Party. And several of the candidates at Tuesday night's debate had tough words about big banks. That was particularly true of former Maryland Gov. Martin O'Malley and Vermont Sen. Bernie Sanders. Although he didn't say so directly, O'Malley suggested several times that consolidation in the banking business was a big factor in the 2008 financial crash and that the U.S. economy remains vulnerable because of it. His solution: Bring back Glass-Steagall, the Depression-era law that barred commercial banks from engaging in investment banking that was scaled back in the Clinton administration. We decided to look at O'Malley's claim about the risks of bank consolidation. "[T]he big banks — I mean, once we repealed Glass-Steagall back in the late 1999s, the big banks, the six of them, went from controlling, what, the equivalent of 15 percent of our GDP to now 65 percent of our GDP." How much bigger have the largest banks gotten, what did Glass-Steagall have to do with it and, most important, did the scaling back of Glass-Steagall lead to the 2008 financial collapse? Despite what O'Malley and many other people believe, Glass-Steagall was not technically repealed in 1999, but it was effectively neutered. Legislation was passed that year that allowed bank holding companies to engage in previously forbidden commercial activities, such as insurance and investment banking. The change in the law opened the floodgates for giant mergers, such as the $33 billion deal between J.P. Morgan and Chase Manhattan in September of 2000. During the darkest days of the financial crisis, Bank of America acquired two troubled financial companies — Countrywide Financial Services and Merrill Lynch, deals that wouldn't have been possible before 1999. The biggest banks are a lot bigger than they once were, mostly because of mergers and acquisitions. What's not in dispute is that changes to Glass-Steagall allowed the biggest banks to grow bigger, which has raised new concerns about risks to the financial system. At issue is the "too big to fail" problem: Will the federal government once again be forced to come to the aid of federally insured megabanks that have taken outsize risks with their money? Since 2008, regulatory changes in the U.S. and abroad have supposedly mitigated that danger. The Dodd-Frank financial overhaul bill contains complicated provisions that would allow regulators to step in and take over failing banks, if necessary. But there's plenty of skepticism that the changes have gone far enough. Some critics, such as Nobel laureate Joseph Stiglitz, have long seen the changes to Glass-Steagall as a major factor in the 2008 crash. By bringing "investment and commercial banks together, the investment bank culture came out on top," Stiglitz wrote in 2009. "There was a demand for the kind of high returns that could be obtained only through high leverage and big risk-taking." But others, like former Treasury Secretary Tim Geithner, have said the focus on Glass-Steagall is misguided. They argue other factors were more important in causing the 2008 crisis, such as bad mortgage underwriting, poor work by the ratings agencies and a securitization market gone crazy. All of that would have happened no matter the size of the big banks. In fact, some of the financial institutions that fared the worst, such as Bear Stearns, AIG, Lehman Brothers and Washington Mutual, weren't part of large bank holding companies at all. "I have often posed the following question to critics who claim that repealing Glass-Steagall was a major cause of the financial crisis: What bad practices would have been prevented if Glass-Steagall was still on the books?" wrote former Federal Reserve Vice Chairman Alan Blinder. "I've yet to hear a good answer." Democratic Sen. Elizabeth Warren of Massachusetts and Republican Sen. John McCain of Arizona teamed up to sponsor a bill that would bring back Glass-Steagall-type restrictions. It was never allowed to come up for a vote. The 1999 changes to Glass-Steagall led to much bigger banks, but that was, at best, just one factor in the 2008 financial crisis. This story is part of NPR's fact-checking series, "Break It Down," in which we try to cut through the spin and put things in context. Have something you want us to fact check? Put it in the comments section or send us an email at nprpolitics@npr.org.